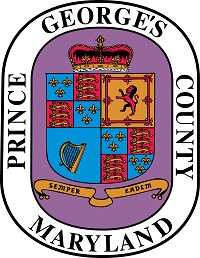 CHANTILLY, VA, November 14, 2017 -- The Prince George’s County Fleet Management Division has removed 12 older vehicles from their two motor pool locations and added new, high-efficiency hybrid electric vehicles, thereby reducing costs and improving efficiency. Savings are estimated between $3,000-$5,000 annually per eliminated vehicle in costs such as maintenance, depreciation, insurance, and other costs associated with keeping unneeded vehicles. The announcement was made today by Agile Fleet, creator of the FleetCommander fleet and motor pool system in place there. Prince George’s County, MD, Fleet Management Division manages two motor pool sites: one in the County Administrative Building (CAB) in Upper Marlboro, MD, and one in Largo, MD. After automating the management of vehicles at the County’s original CAB motor pool site in 2013, the Fleet Management Division launched the Largo site in 2015. Since that time, the number of employees who utilize Largo motor pool vehicles has grown by more than 50%; however, additional vehicles have not been required due to the efficiency of the fleet management system. Prior to implementing their fleet management information system, Hilmer says that in the past, one person was tied to the motor pool location, and was responsible for taking reservations over the phone or in person, handing out keys, collecting keys, and physically being there at all times to assist pool customers. “That meant if he took a vacation, was sick, or needed to be out for any reason, we had to make sure there was staffing in place to cover those responsibilities," says Hilmer. On the flip side, Hilmer said there were times the motor pool coordinator did not have customers, but he was still required to be physically available for vehicle dispatch in case the need arose. Hilmer said since automating their motor pool with FleetCommander, the motor pool coordinator is able to conduct other County business not necessarily at the CAB site, including managing the Largo motor pool remotely. The Prince George's County fleet is made up of more than 3,200 vehicles serving 4,000 drivers. The Fleet Management Division is responsible for the overall management of a fleet of vehicles used by 18 agencies of the County government, 12 municipalities, and 40 volunteer fire departments.